It’s no secret weddings are becoming more expensive by the day. However, there’s no easy way of cutting down on your costs without compromising on the ceremony of your dreams. Luckily, there are financial tools and tips that can help you save a meaningful amount of money while still upholding the standard of your wedding. When you pay for your wedding banquet, honeymoon, wedding dress and such, it’s almost foolish not to use credit cards. Because most of your bookings and purchases will be in excess of tens of thousands of dollars, choosing the proper card can easily save you in excess of thousands of dollars. However, there are two rules you should follow when choosing which card to use for your wedding expenses. FIRST: Prioritise cards with high or no cap on awards that you can win. For instance, while most cashback cards have a monthly or quarterly cap on the rebates you can earn, cards like many miles credit cards, don’t. SECOND: It may be worthwhile to cherry pick certain cards with the best rewards rate for the purchases you are making. Most wedding venues are going to be either hotels or restaurants, so you can use a card that provides the most rewards for either of the two categories. Similarly, you can earn great savings on shopping for dresses and dowries by using one of the best shopping rewards credit cards. Renting a wedding dress can easily cost you hundreds of dollars, if not thousands. 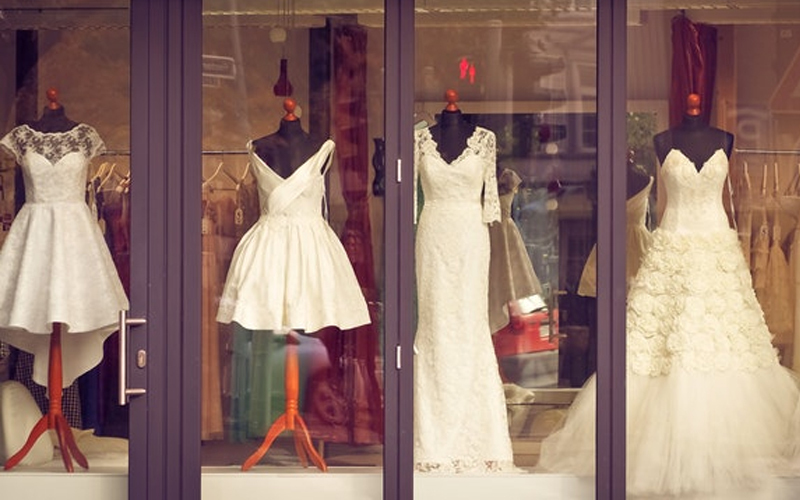 While this could seem like a good way to save money, it actually would be worthwhile to purchase a dress, earn +5% rebate with a credit card, then sell it immediately after the event with a 20% discount. Even if the cost savings don’t turn out to be great, it can at the very least improve and widen the selection of dresses to choose from. Not only that, purchasing and reselling a pre-owned dress that you really like can be an especially cost-effective way to save money. Your best bet would be to attend designer trunk shows. There, you could potentially convince a rep or the designer to sell you the dress used at the show with a better sale price or gift you tailoring or accessories. In negotiations, it’s always beneficial for the buyer to buy in bulk. A bigger deal becomes more lucrative to the seller and incentivises the vendor to provide additional discounts through bundling. This logic applies to your wedding planning as well. 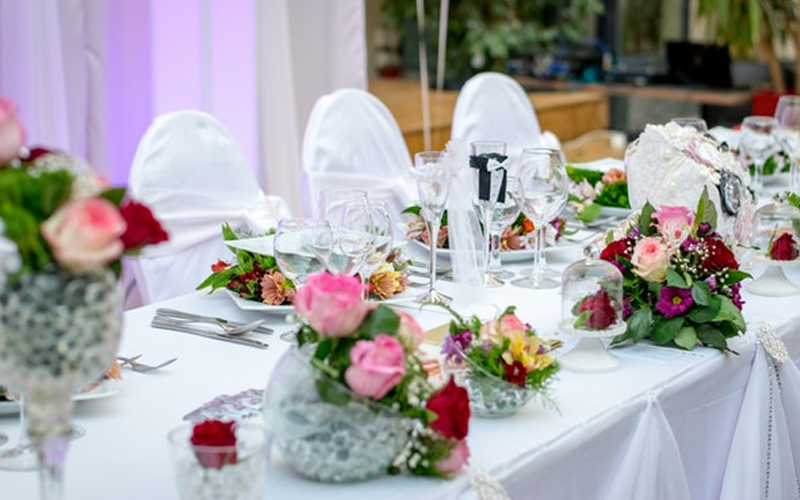 If your wedding planner or florist offers lighting, rentals, and invitations, you get more room to negotiate for a discount when packaging these together, rather than hiring different vendors to execute each one separately. However, if there is one thing you should not bundle with everything else, it’s alcohol. Anyone in the restaurant and entertainment industry will tell you these establishments typically charge three to five times more than its actual cost. It’s always a good idea to buy your own wine or other drinks in bulk to either entirely replace or supplement the alcohol offered by your venue. Of course, almost every couple’s highlight is the honeymoon. In this case, it’s almost always a good idea to not overstretch your budget when booking the best rooms. Rather, inform the hotel in advance (or on arrival) that you are on your honeymoon. More than likely, the hotel will give you a free upgrade to a better room or suite, if not provide you with other additional amenities. Since honeymoon suites can often cost double or more than a regular room, you can potentially save thousands of dollars on your lodgings over multiple nights. Couples planning on photo shoots or a honeymoon overseas can benefit from spending a small amount to protect their bookings with travel insurance. Personal loans can also be helpful in picking up some slack in your budget, so borrow only a conservative amount that you can repay easily and quickly. To wrap things up, you don’t have to go out of your way to compromise on your wedding and reduce your budget. There are realistic, actionable ways of making sure you save while keeping your dignity and the beauty of the day intact. The New Savvy is Asia’s leading financial, investments and career platform for women. Our bold vision is to empower 100 million women to achieve financial happiness. We deliver high-quality content through conferences, e-learning platforms, personal finance apps and e-commerce stores. Next articleWhy this mother-in-law was uninvited to her son’s wedding.